Remove the cap from the pen. Using your hot glue or super glue, attach the stem of the flower to the side of the pen on top of the pen. Once the glue from the flower has dried, attach the ribbon to the pen by gluing and wrapping the ribbon around the pen. 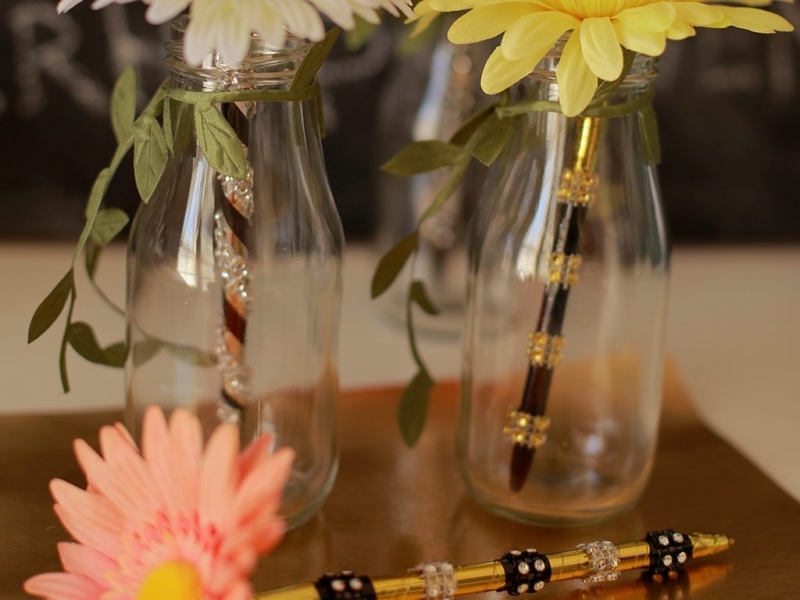 Optional: To make it very special, make a variety of flower pens and place them in a glass bottle.